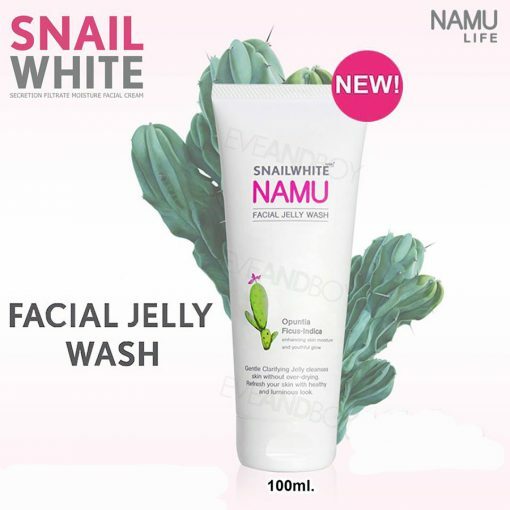 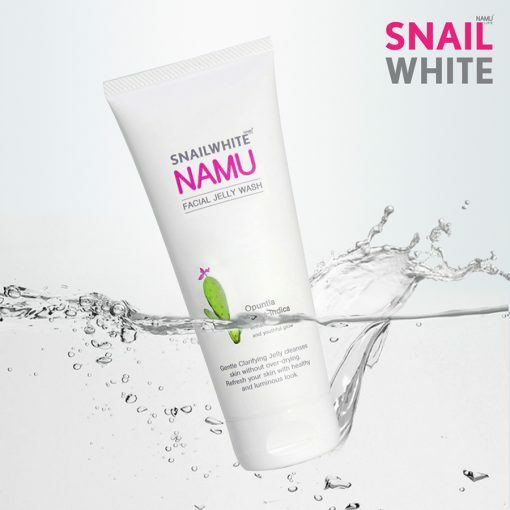 Snail White Namu Facial Jelly Wash is the gentle facial cleansing gel that cleanses dirt and removes excessive oil without any residues clogging pores. It also revitalizes facial skin, inhibits bacteria which is the cause of acne, heals skin, removes acne marks, reduces dark spots, and reveals clearly radiant skin. 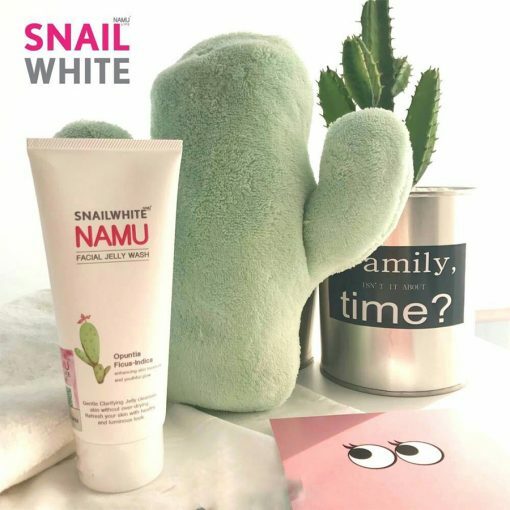 Combining with Snail Slime, Cactus (OPUNTIA FICUS – INDICA), Centella Asiatica, and Green Apple, it can cleanse and nourish facial skin deeply but gentle within one step. 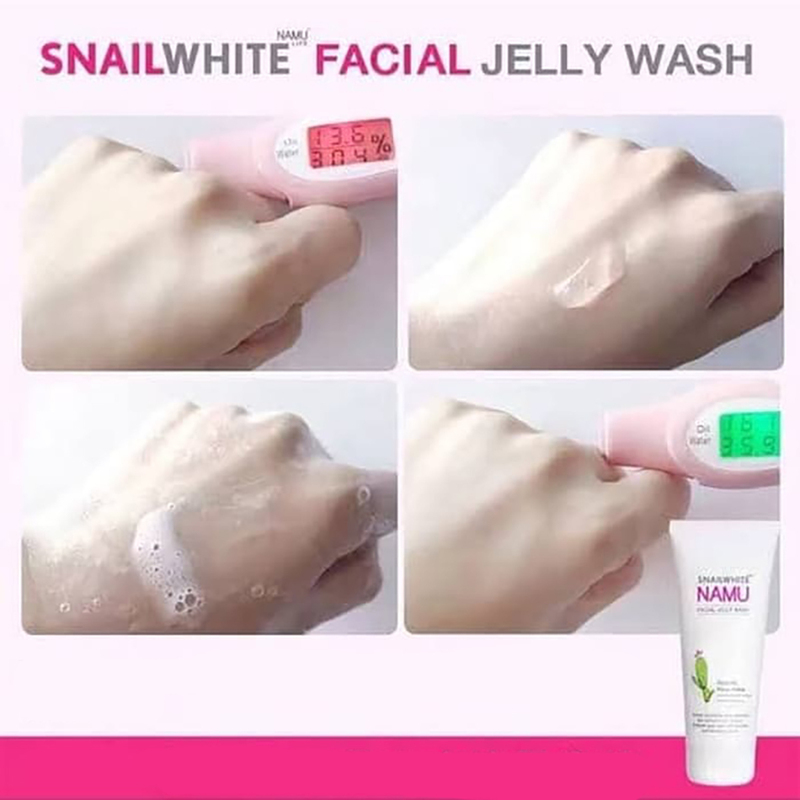 SNAIL SLIME: contains powerful antioxidants. 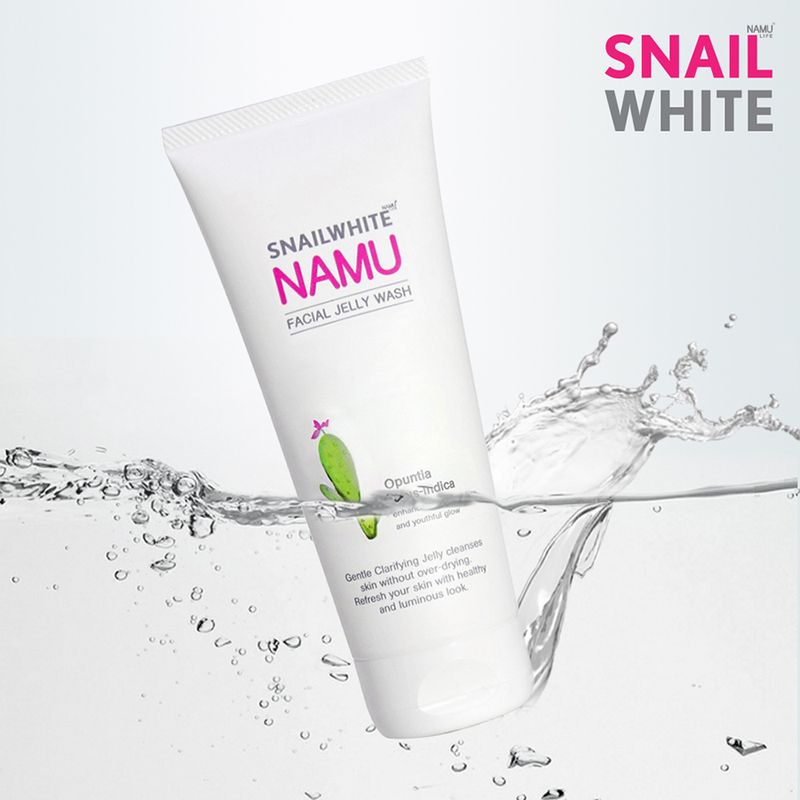 It helps restore skin by repairing damaged skin cells naturally and effectively renewing skin cells. 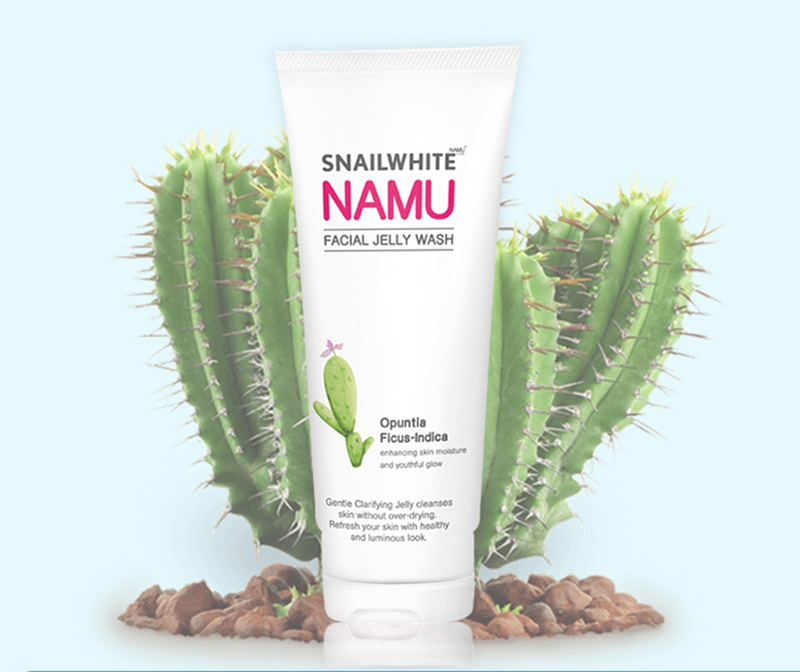 OPUNTIA FICUS-INDICA CACTUS EXTRACT: The extract from cactus helps replenish moisture to skin. UNRIPE GREEN APPLE EXTRACT: helps tighten skin pores and controls excessive oil. 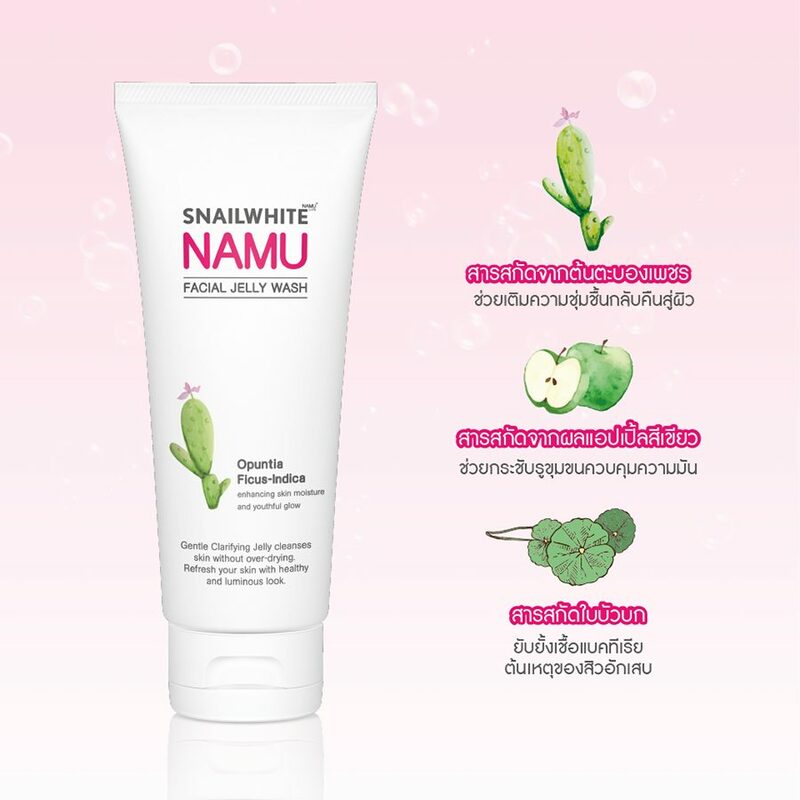 CENTELLA EXTRACT: inhibits bacteria which is the cause of inflammatory acne as well as heals skin, removes acne marks faster, and reduces dark spots. Squeeze the gel into the wet palm or wet sponge, apply and massage to get bubbles all over the face, and rinse with clean water. 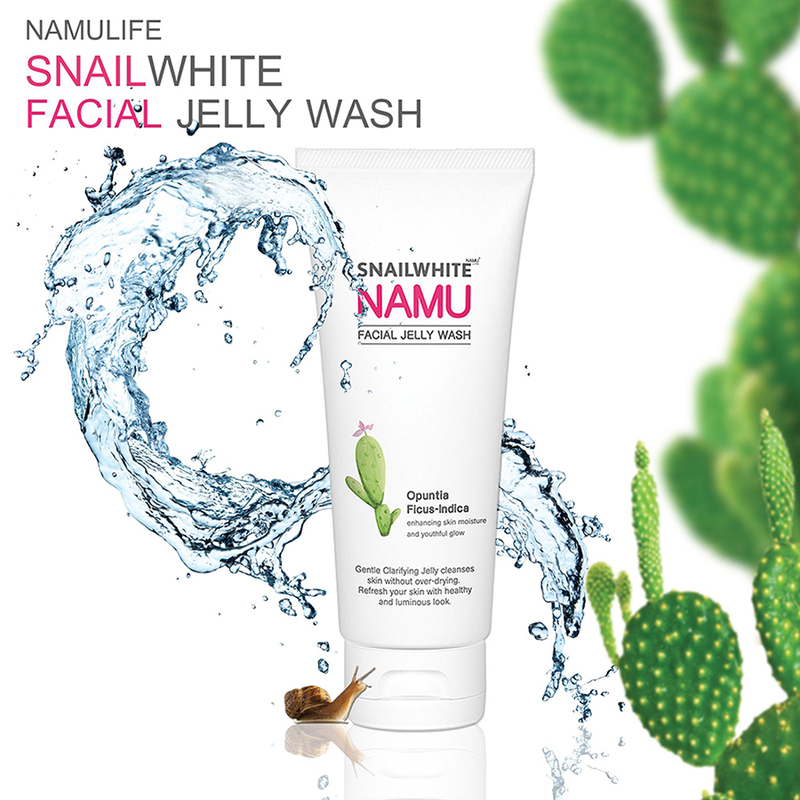 It is used to cleanse facial skin in the morning and evening or as needed.